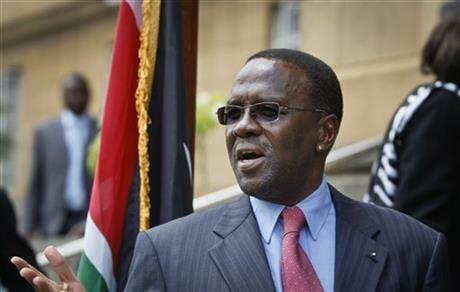 According to the Standard Online, Chief Justice Willy Mutunga has denied claims that he was bribed during petitions that challenged the election of President Uhuru Kenyatta. In a post on his Facebook page, the CJ said he has been hurt by the allegation and said he would order the arrest of anyone who tries to hurt him. 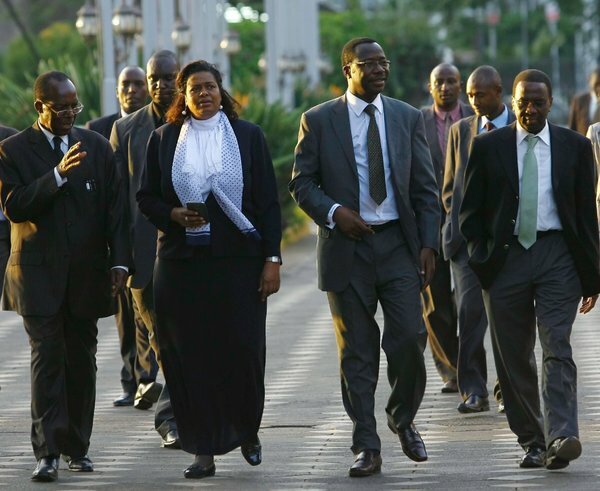 “For me the most hurtful allegation was that I had been bribed in the Presidential Petition. I did not know where to turn. I have never been offered a bribe in my life,” he stated. He challenged those attacking the judiciary to petition for their removal from office by the Judicial Service Commission. He said such attacks were unwarranted and hurtful to members of the judiciary and their families. “We are human beings and we hurt, too. We have families that are hurting because of these attacks,” said the CJ saying the Judiciary demands from Kenyans the justice that they demand from the Judiciary. Several things can be said about what the CJ has said. First of all let this writer make it clear he does not believe the CJ himself was bribed; his belief is the CJ was threatened with removal from office even if Uhuru did not become president because Jubilee has the majority in both houses and what votes they would need to cross the constitutional threshold to impeach him they can buy or coerce. One can therefore understand why the CJ will go along with a decision even he surely must agree flies in the face of facts and the reality of what happened in the 2013 elections. Understanding, however, doesn’t make the CJ innocent of failure to deliver justice in a fair, unbiased and impartial manner as a justice is expected to do neither does it make it any better than being bribed for wrong is wrong and the CJ along with his other justices in the court got the decision wrong and contrary to the law and facts for which they must remain judged accordingly. If there was any doubts as to the wrongness of the decision and how it lacked any basis in fact or law, that doubt was removed when the court issued an opinion few will disagree is intellectually shallow and an embarrassment to the court itself and country. That being the case, one can expect people without any rational answer for the court’s shocking decision to come up with their own rationalizations and explanations to try and make sense of it even when one cannot. Having made the bed, the court must lie on it. As to CJ threatening to “direct” that anyone saying he was bribed to be arrested, that’s another shocker! Does the CJ not know something called freedom of speech guaranteed under the very constitution he was not only sworn to uphold but to lead in upholding? Where is the criminality in people expressing their views so long as they are not deemed or can be proven to be hate speech? The CJ, like anyone else, can go to court and sue for slander and libel but good luck suing for “outright indecent, vulgar, and unacceptable abuses” and given he is a public figure for which there is a higher standard of proof and often hard to prove case for slander and libel, good luck on that, too. When the CJ invites those with evidence of wrongdoing on his part to go to court, he forgets this is the court the very same people know justice cannot ultimately not be found on matters such as this because they believe the court was wrongly influenced to reach the decision they did in in dismissing Raila and AfriCog’s petitions so it’s futile to go to the same court seeking justice for criticizing or condemning the same wrongness. The justices may be hurting from the criticism but the country is hurting even more from their decision which has destroyed at least a majority of the country’s faith and belief in the Supreme Court’s impartiality, fairness and competence it’ll take years, if not decades for the Court to regain that faith and confidence. I do not believe I should sue fellow Kenyans in defamation. All I can demand from Kenyans in justice that they demand of me and the Judiciary I head. That being the case, references to these two issue in the original version of this blog should be read and understood from this probably updated post by the CJ. “I did not see any of those people on the campaign trail!” lamented a friend who spent several months during the campaigns beating the Jubilee drum-beat in what he was promised to be a plum appointment even possibly as a cabinet secretary only to see people he claims he doesn’t know let alone seen anywhere near the campaign trail where the hard work was done according to him. Several of both seasoned and non-seasoned politicians and non-politicians are miffed and others crying they have been overlooked for cabinet consideration its not clear which tears are more painful: the tears of these individuals who believe they either toiled hard enough for Jubilee to win to be appointed as cabinet members or those of Raila supporters who believe the man’s victory was yet again stolen from him. Never mind those seasoned politicians miffed at Uhuruto for not being put forth as nominees for appointment to the cabinet; theirs is nothing but a desire to be appointed for the sake of appointment (read for the sake of the prestige of holding the office and nothing more) unlike many of these hard-working but ignored would be senate candidates like this friend who actually may have a genuine belief there is something different they can bring to the table as opposed to just having the job for the sake of having it. That includes as this friend would put it a progressive Kikuyu like him would or could help un-fang or at least trim the sharp edges of some of the creatures fostering tribalism and intolerance in his community. Well, he may as yet get that opportunity but having not been shortlisted for the PS positions that next to Secretaries hold much promise in everything for anyone who wants to be in the next government, he’s now resigned to probably being sent to the Kyrgyz Republic as our first and only ambassador there with a staff of 2 to manage that includes his house help. I also believe him when he says he wishes to use his appointment to influence the powers that be in bringing about more national unity and cohesion. I have elsewhere blogged, however, that Uhuru may actually surprise many by being the first president to scale back the reach and depths of tribalism even though an unchallengeable case can be made he’s in office largely because of tribalism aided by a process only history will judge its fairness and openness for those who do not agree with Raila and his supporters that the process was anything but. As I have also blogged before and to be fair, tribalism would have also been a factor were Raila to be sworn as our next president it’s just that it would have been less so of a factor than it has been in the case of Uhuruto election. If you don’t believe that and you’ve never met anyone in denial, got to the nearest mirror and look at one staring back at you. That being said and to repeat what I have said before and even in this blog already, President Uhuru like those before him has the opportunity to be the best president and transform our country in all major respects, including ending or mutilating tribalism. All those before him failed miserably on this measure. Will he follow suit or prove he is a man of his own and a leader to reckon in his own right. Let’s hope the latter and I would sincerely wish him well in that regard for as I have said before his success as president shall be a good thing for all of us as a nation while conversely his failure as president shall be a continued curse for the country. I vote for the former and always will. In More Reasons Why Supreme Court Ruling Is Shameful published in the Star today, I continue my analysis of the unfortunate Supreme Court opinion attempting to justify dismissal of former Prime Minister Raila Odinga and AfriCog’s petitions which as this series clearly shows was an opinion few will disagree is intellectually shallow, a sham and embarrassment to the court itself and country. This is not an assertion made lightly or without clear thinking and analysis of the opinion objectively but I have yet to find anyone who can make the case this is not the case. That being the case then this must be the case the question is, what next? What should be the take-away from all of this, especially given this unfortunate and embarrassing decision? That will be answered in Part III and the final part of this series. I am mulling over whether to disclose what I have learned from my reliable source as to what the real beef is as to this stalemate in naming the rest of the nominees for the cabinet. Hint: It has to do with digital v analog but not in the manner this has been presented to us and the combatants are pitted one against the other such that the one with the digital argument wins, the one with the analog argument loses, big time. The intriguing if not fascinating twist to this, is the fact that the one likely to win has actually so far won these inside “wars” and look no further than what your two eyes are telling you when you see the two together. Collateral damage of that victory–and this is even more intriguing, if not fascinating include some serious power players who would not want such a humiliation. I would rather not do a full reporting on this and mention names but it’s clear this is no small war going on and don’t be fooled with the smiles or even what comes of it as a final deal; a lot is at stake here and there are clearly going to be winners and losers and look for the latter to start undermining the former from the get go. Bring in Parliament and the Senate and you have nothing but pure power plays ahead with nothing emerging as the epicenter of any until likely the next elections. For now, you can count on people not sleeping over this Scene I of the power plays and suddenly some people are wishing and hoping there is some magic wand to wag and everything smooths out to await another set of challenging, if not very difficult circumstances ahead. 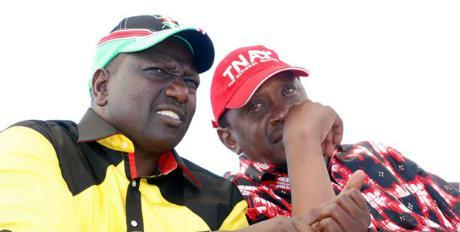 My postulation: Ruto is going to emerge out of this as the biggest winner of the 2013 elections, not Uhuru, even as his victory will be de minimis in the larger scheme of things but count on the latter to smart out and really deliver a KO to the former when the stars above the sky align–and if you up now, you won’t see that being the case, yet. This is a joke of a an opinion and an embarrassment of the Supreme Court to say the least. How can the Court regurgitate without analysis what the lawyers argued and call that an opinion!!! What passes as legal analysis is only but a handful or so of pages the rest one may as well read the pleadings, which anyone can do. A court, let alone the highest court of the land is supposed required to analyze what’s presented as evidence, which includes the written pleadings and render an informed, sound legal judgment supported by that evidence. That’s obviously not what we have here as anyone objectively analyzing this opinion would conclude. The day the Supreme Court issued its written opinion was the second saddest day for Kenya second only to the day the Court dismissed the Raila and AfriCog’s petitions. The impact of the Supreme Court’s letting the country down will be felt for decades. In Supreme Court Ruling Is Intellectually Shallow, A Sham and Embarrassment To The Country and Jidiciary published in the Star today, I start a three part series analyzing the opinion and showing to the satisfaction of all but a few who would not recognize the truth if it was plastered across their faces. I am literally laughing as I am typing this because I have just learned from a reliable source–yes, that which angers those who can’t stand facts or truth unless it’s something they want to hear–but be as it may, the source tells me that the deceivingly soft-spoken William Samoei Ruto is banging tables demanding not only that his URP end of the Jubilee coalition gets half of the government appointments, he has put on the table precisely which portfolios must go to URP. This is actually commendable because someone must cut these miniature mugumo trees to size but needless to say its also irritating to some in Jubilee while driving others into feats demanding that Uhuru flex his muscle right away, again, this (the latter) according the same source. Wouldn’t be wiser to demand control of half of the government appointments as opposed to demanding that URP get half of the appointments? I pondered–and there is a huge difference between the two where the former can be a vehicle to at least have a more inclusive government beyond the two tribes now enjoying the presidency and deputy with the latter merely ensuring only the two tribes enjoy the presidency and deputyship–however, doing the first of the two things would make one an ardent proponent and practitioner of nationalism but we have yet to have one, Raila having not been allowed to assume the high office yet. 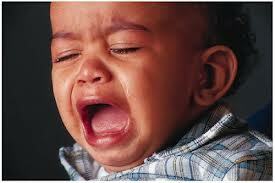 Will Uhuru surprise us all and be the first one to be such a national leader? 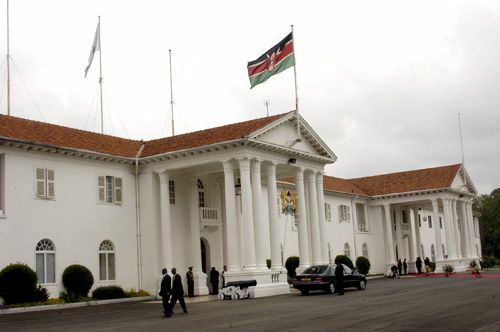 If people recall, it was reported in the news not too long ago that the purported deal between Uhuru and Ruto in their MOU now headed to life support is if one of the wings of Jubilee gets a cabinet position, the other wing gets the Principal Secretary slot. In the list now headed to Parliament for &quot;vetting&quot;–and I put this in quotation marks because there is really no vetting that’s going to take place as the Jubilee controlled House will simply rubber-stamp whatever comes through there as anyone with any conscience to oppose will lose the conscience in due time with appropriate incentives, anyway, be that as it may, my source told me Ruto has specifically demanded that both the security docket and finance cannot go to the same wing of Jubilee. This had me thinking and I have surmised with my friend’s concurrence Uhuru and his handlers are no dummies they can have both without appearing to have both. This can be accomplished by maintaining the finance docket–and note why I say &quot;maintaining&quot; while giving the security docket to URP with the respective secretary reporting to his deputy [i]for all practical purposes and intent. The all powerful deputy will in turn keep a close tap on everyone who is who in the security docket who most of them actually don’t have much to do and virtually slumber until just before the next elections. This strategy will certainly be utilized in all of the key appointments and the subtleness with which it’ll be done will be felt long after there is nothing anyone can do anything about it. Let the power tussles begin if they haven’t already. If anyone doubted my sourcing for this thread; ask yourself why has the cabinet not been announced? Why tell us the structure of the cabinet without telling us who shall fill the slots? The truth is, there is a stalemate as my reliable source told me in that Uhuru and Ruto cannot agree on who should take what slot, not necessarily how many slots. Ruto has put his feet down on having certain slots he says he must have (clever because that’s the only way he can check Uhuru’s power over him) but Uhuru henchmen –and yes he has a handful or so of those and one known to me personally–they’re are saying over their dead bodies. 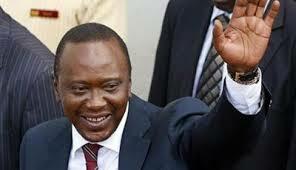 Uhuru himself, according to my source, is ready and willing to give Ruto what he wants. “They’re concerned UK will give away the store and leave them with nothing” is how my source describes the goings on behind the scenes. It’ll be interesting to see which side prevails when the cabinet is finally announced: Uhuru and Ruto or Uhuru’s henchmen. That should give us a good idea what kind of presidency we’re going to have in our fourth president. In The Monkey On Uhuru Kenyatta’s Back He Must Shake Loose published in the Star today, I note how President Uhuru assumes the presidency under a cloud because a large section of the country does not believe he won the presidency in an open, fair and transparent election. I also note this is true even though the Supreme Court has ruled that the president was validly elected and in conformity with the constitution. His predecessor, now retired President Kibaki also came to office under a cloud having been hurriedly sworn in following an election in 2007 many believe he stole. Although the Supreme Court has entered a decision in Raila’s case challenging Uhuru’s election, most people await the written opinion to determine whether the decision itself is right and valid under the constitution and law. We have never had free, open and transparent elections reflecting the free will of the people since independence and even before. Many laughed at Moi and his failed project Uhuru but he is now the one laughing loudest and non-stop wherever he is and definitely will now be forever known as the professor of Kenyan politics. With Jubilee having the majority both in the National Assembly and the Senate, there is a lot of mischief Uhuru can visit on the country, if he so choses but for the same reason he can also do good for the country. The choice is his. President Uhuru has the opportunity and certainly can do enough good with his leadership to erase or at least minimise the stigma of having been questionably elected in a disputed election. President George W Bush, a Republican who many argue was appointed by the Supreme Court of the United States following a close election of 2000 in which his opponent had actually been declared the winner early in the day only to find out he lost—he really did not lose as he still contends because the court intervened and stopped the counting of votes in the state of Florida which paved way for George Bush to be declared the winner of that election. There was bitterness, resentment and anger among Democrats and independents who voted for Al Gore, but there was nothing they could do as the highest court in the land had spoken and there was no further recourse they could pursue to remedy what they clearly believed was an injustice. Sound familiar? Everyone who voted or supported Raila in 2013 elections will painfully say yes. President Bush was throughout his first term deemed a joke of a president besides being in office illegitimately and even when he was re-elected in 2004, he never could quite shake the illegitimate label. Will Uhuru Kenyatta be able to shake the label of illegitimacy as did Rutherford B Hays and continue the country on the path of reform or would he serve one or two terms of no marked distinction other than something he would not want on his legacy?